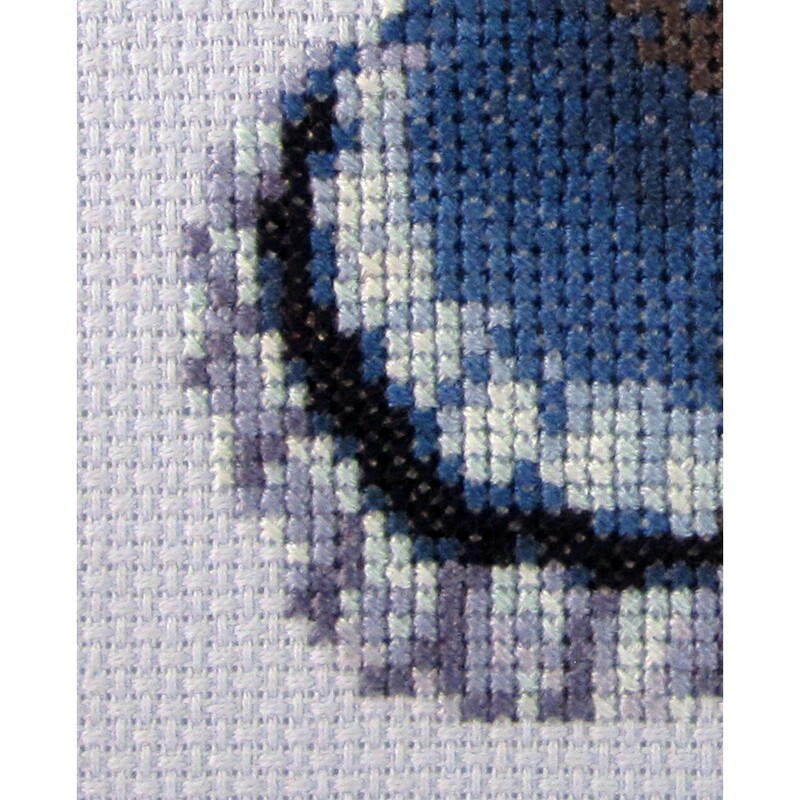 This small cross stitch kit shows a bright blue butterfly. 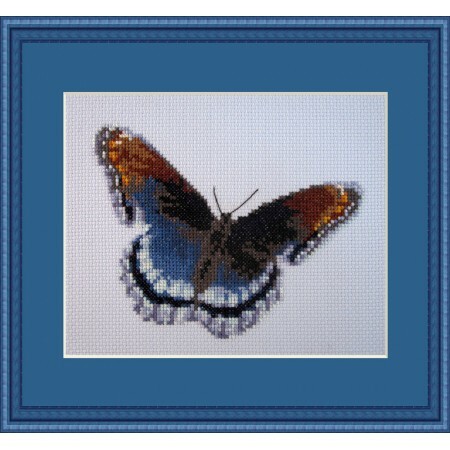 Royal Blue Mariposa is made on skyblue 14 ct aida by Zweigart and made with 19 colors of DMC thread. 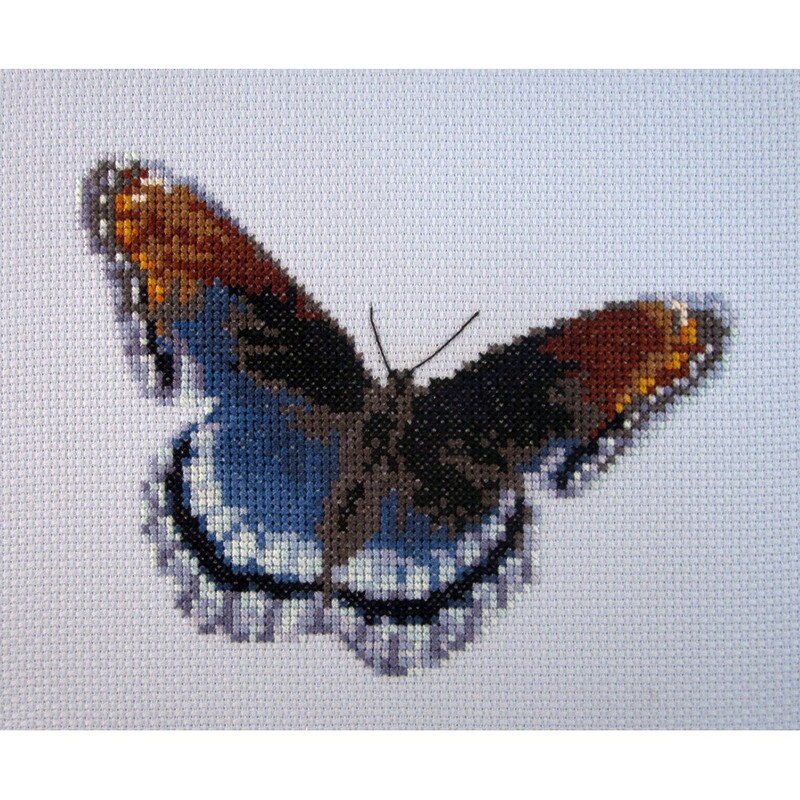 Quite easy and thus suitable for beginners, but definetly fun for experieneced stitchers.